Dr. James Carton graduated with B.Eng. in Manufacturing Engineering from Bolton St. Dublin Institute of Technology in 2005. Following several years of industrial manufacturing experience, Dr. Carton carried out his Ph.D. research in Dublin City University, focussing on the research, design and development of Hydrogen & Fuel Cell technology, graduating in 2011. During his Ph.D research, Dr. Carton gained many years experience in bleeding edge technology development, completing projects with the European Space Agency (ESA) and National Aeronautics & Space Administration (NASA). At the Space Life Science Lab, John F. Kennedy Space Centre, Dr Carton performed structural and fluid analysis, design and development on a number of projects, including: FASTRACK a hardware platform for microgravity experiments and ABRS a space bound payload, which successfully launched in 2009 to the International Space Station (ISS). Following his PhD research, Dr Carton joined ENBIO in 2011 to develop heat shield coatings with the European Space Agency (ESA). In 2012 Dr Carton engaged with ESA to secure contracts to set up a ISO9001 manufacturing facility in Ireland, to manufacture Heat-Shield components, for the Solar Orbiter Satellite (due to launch in 2018). In 2013, Dr Carton re-joined Dublin City University to project manage an Enterprise Ireland project FCPM to develop and commercialise Fuel Cell technology. In 2015, Dr Carton was appointed Principal Investigator on a subsequent Enterprise Ireland project PureH2, developing an energy system utilising innovative catalysts for hydrogen production. 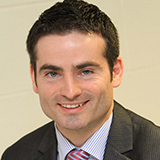 In 2017 Dr Carton was appointed Assistant Professor in Sustainable Energy in the School of Mechanical and Manufacturing Engineering Dublin City University. Dr Carton is a member of the Future Energy Leaders (FEL-100) programme of the World Energy Council (WEC). Within this role Dr Carton is engaged with the Renewables System Integration and Scenarios Study Groups, and presently co-leader of The Climate Change Task Force, developing energy policy and strategies for industry and governments. Dr Carton’s research focus is Energy sustainability through Innovative technology development; Fuel cell, Hydrogen, Power-to-Gas and Renewable energy. His team have invented and patented fuel cell materials and technologies to reduce their manufacture cost. Dr Carton Lectures undergraduate and postgraduate students in Energy, Thermodynamics, Strength of Materials and engineering design modules, developing course lectures and demonstration techniques for a modern classroom. Energy, Sustainability, Energy Policy, Climate Change, Scenario Modelling. Fuel Cells (FCs) produce electricity from a chemical reaction of hydrogen fuel, with air. FCs are twice as efficient as fossil fuel generating devices producing only water and heat as by products. FCs produce no carbon dioxide during operation, so called zero tailpipe emission technology. FCs have many potential applications ranging from mobile devices to backup power to transport. Dr Carton's research to date has focused in three key technical areas of research in regenerative fuel cells that use advanced functional materials: 1). Low cost anode & cathode bi-functional electro-catalyst synthesis and characterisation 2). Support material / flow plate optimisation and characterisation 3). Electro-catalyst and support fabrication method optimisation. Dr Carton and his team have invented and patented fuel cell technologies to reduce FC manufacture costs. The teams developed prototype patented Fuel Cell Power Module (FCPM) overcomes several technical, manufacturing, assembly and scaling issues experienced by existing fuel cells due to a patented multifunctioning architecture. The Team has secured successive project funding rounds that have delivered 20% reduction in the manufacturing costs, and 50% reduction in size and 30% reduction in weight. Connected to the technical developments are application and policy developments required to promote new more efficient, sustainable, cleaner technologies. Therefore Dr Carton's current and future research aim is to link seamlessly with primary energy sources such as solar and wind energies and develop the technology with electric vehicles, “green-gases” and microgrid applications and energy policy, to deliver a sustainable clean future to the next generation.